Keep the fun and entertainment rolling through your home with this cart from the North Avenue collection. 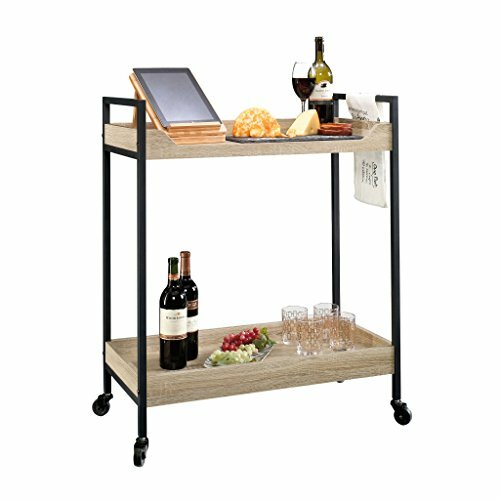 This clean-cut cart features two spacious shelves for drinks, glasses, and your favorite appetizer. It's easy-roll casters allow it to move from room to room so the party is never limited to one space. Constructed with a durable, black metal frame and finished on all surfaces in Charter Oak, this versatile cart is sure to be a crowd pleaser in any room.